Pastoral Formation from Storia Studio on Vimeo. Preparing Seminarians to be Future Pastors. As envisioned in the 1992 document, Pastores Dabo Vobis, pastoral formation at Saint Mary’s is one of the four pillars of our priestly formation program. For some time now Saint Mary’s has been a national leader in pastoral formation. Our program is designed to prepare seminarians to become faith-filled and inspiring pastors for the diverse and complex parishes of today and tomorrow. Our goal is to help seminarians to translate their solid theological education and their personal spirituality into dynamic pastoral leadership. Saint Mary’s pastoral program consists of five integrated components: ministerial service, academic courses, workshops, theological reflection and pastoral team learning. To accomplish its goal of forming pastors for the twenty-first century, the program is focused on the pastoral and organizational dynamics of today’s parishes. All of our theology courses have defined pastoral outcomes. Assisting in the RCIA program. In the Pre-theology program students are assigned to pastoral settings in which they serve the poor and suffering. During the theology years, seminarians serve in at least three parishes and a local hospital. We partner with selected pastoral sites, learning parishes (of diverse size and ethnicity) as well as the pastoral departments of hospitals in the Archdiocese of Baltimore. In these settings, students learn the fundamentals of parish ministry and become familiar with the basics of parish administration and leadership. 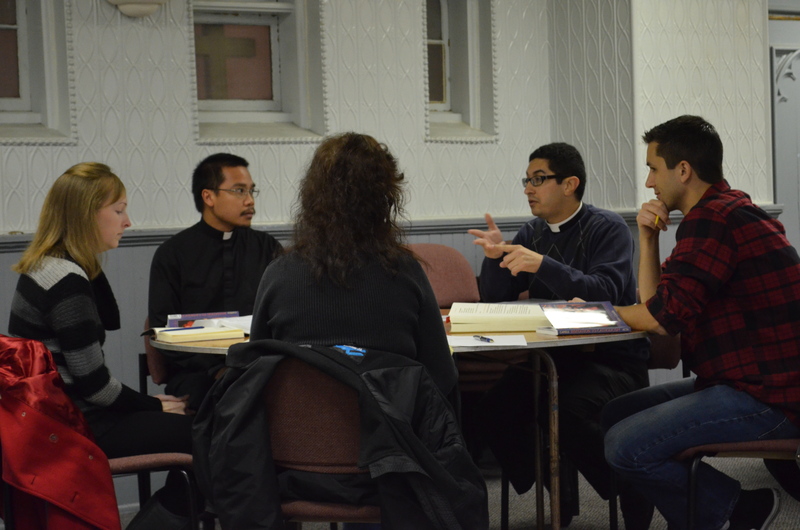 Under the supervision of a local pastor or hospital chaplain, and with help from lay leaders, seminarians join pastoral learning teams to reflect theologically and pastorally on the needs and challenges of parish life today. The parish is the learning laboratory for pastoral formation. The goal for the seminary must be to train potential pastors. Very few of our graduates will have the luxury of multiple parish settings before assuming a pastorate. Because parochial ministry today is a collegial endeavor, seminarians join their parishes in Pastoral Learning Teams. With their pastor/supervisor and their Transitional Deacon Leader, the seminarians have distinct learning roles in the parish. They gather monthly to discuss what they have learned and how theology becomes operative in a parochial setting. As a key component of Pastoral Formation, Saint Mary’s provides a two semester Homiletics program that seeks to develop seminarians into effective preachers. The program emphasizes the formation of a spiritual, pastoral, and theological imagination for more effective preaching of God’s Scriptural Word. In further support of their field education experiences, our students’ course work covers a wide variety of disciplines vitally important for parish ministry. These courses include Canon Law, Catechetics, Ecumenism, Pastoral Care and Counseling, Evangelization, as well as Pastoral Administration and Leadership. 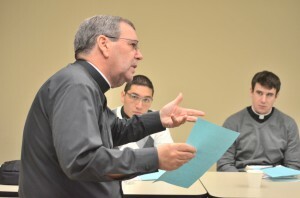 In addition, each year students participate in a Pastoral Skills Workshop on a specific, contemporary pastoral issue. These workshops include: Bereavement Ministry, Multi-Cultural Diversity, Conflict Transformation, Youth Ministry and Evangelization in the Parish.